Danish singer and composer Nanna Øland Fabricius, akaOh Land, wrote and produced her first album, Fauna,in 2008 following a back injury that destroyed her ballet career. 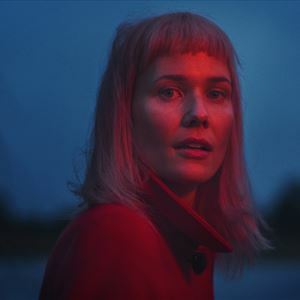 Sincethen Oh Land has released four studio albums and toured the world many times, bothheadliningand opening forsuch acts as Katy Perry and Sia. As a songwriter she has worked with Pharrell, Sia, John Legend and Tricky, to name a few. Oh Land also composes music for film, theater and theclassical music world. She has performedwith Lang Lang and Joshua Bell atCarnegie Hall in New YorkCity,and orchestratedconcerts for the Danish Symphony orchestra in her native country of Denmark. She collaborated with the Queen of Denmark to create a ballet forthe Danish Theatre (2016);created the musicfor Watermusic, a multimedia performance for over 15,000 people at Randers Harbor combining architecture, dance and music (2017), as well ascreating the musical score for the exhibition “The Ship” at Nikolaj Kunsthal in collaboration with Eske Kath. Most recently she reimagined the Danish National Anthem as a dark, dystopian theme songfor the new Netflix sci-fi hit “The Rain”.